The Webatlas maps published in New Zealand Birds Online are derived from the Atlas of bird distribution in New Zealand 1999-2004 (Robertson, C.J.R. ; Hyvönen, P.; Fraser, M.J.; Pickard, C.R. ; 2007; OSNZ, Wellington). The Ornithological Society of NZ, Inc. (OSNZ) launched the most comprehensive survey of New Zealand’s avifauna in August 2007. With some 530 pages and more than 2100 maps (A4, Colour, case bound, delivered individually boxed) covering over 200 of New Zealand’s endemic, native, migratory and introduced birds, this work is the result of 5 years of extensive surveying by more than 850 people throughout the country. Conservatively valued at more than $10 million worth of voluntary effort, it emphasises the importance of nationally co-ordinated environmental monitoring and recording, by a largely amateur organisation. The OSNZ published its first Atlas of NZ bird distribution in 1985 (covering the years 1969-1979), and these earlier distribution maps are reproduced alongside the new maps to visibly demonstrate changes in the bird distribution throughout the country over some 35 years. Seasonal and breeding data maps are provided for each of the birds and there is a full section devoted to habitat use. The latest mapping techniques also explore the national biodiversity for birds to demonstrate a statistical snapshot of the hotspot areas aroundNew Zealandwhich require consideration for conservation management and protection. It is also a good guide to where to find the birds that interest you. Have there been changes over 30 years? Of 137 species mapped in 1985 the new atlas shows that 45 have increased and 33 have reduced their distribution. Regrettably, but not surprisingly, the majority of the reductions (25) are among the endemic birds. The increases have been quite evenly spread among endemic (15), native (12), introduced (17) and migrant (1). The mapping techniques used show that even among plentifully distributed birds, there are signs of localised reduction in visibility. Supported by BirdLife International this atlas provides an invaluable record which documents the birds of New Zealando ver a period of 35 years, and is a nationwide resource unparalleled for any other part of theNew Zealandflora and fauna. 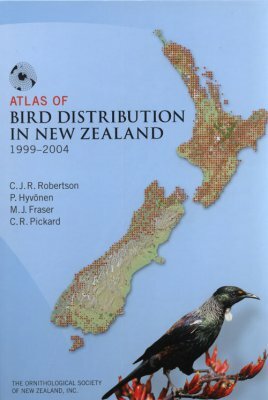 In addition to the maps reproduced as Webatlas maps on New Zealand Birds Online, the Atlas of bird distribution in New Zealand 1999-2004 contains 38 pages of introductory text, and 221 supplementary pages, including analytical maps and essays. A copy of the Atlas is given free to new members when they join the Ornithological Society of New Zealand (while stocks last). Find out about joining OSNZ, or purchasing OSNZ publications.